Helly and Andy, aka The Rag Tag Misfits, based in Liverpool, don’t do things by halves; they set themselves challenges most people would run a mile from. Musicians using their gift for good – we had to get involved. A slot on David Durant’s Under The Radar Live Sessions followed as well as airplay on independent music shows and support from good friends Mary Hall and Michaela Jay from The Mer & Mikki Show and together we did our best to raise the profile of this challenge. 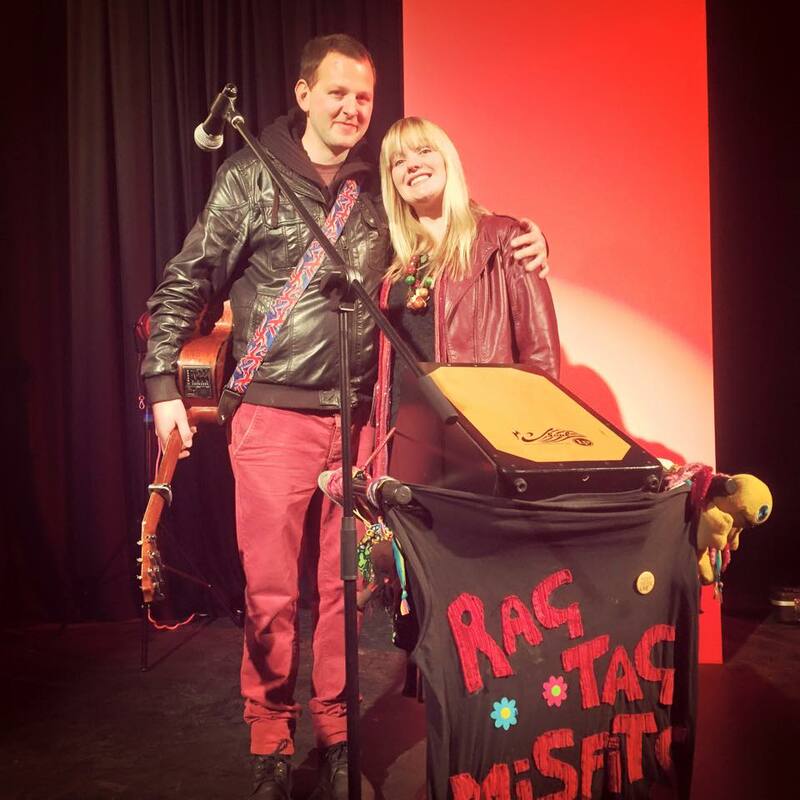 Helly and Andy are tireless in using their musical gift to help others. Just a couple of days ago they alerted us to a nationwide event they are taking part in called We Shall Overcome. The brainchild of Joe Solo, We Shall Overcome is a weekend of music from 2-4 October 2015 dedicated to helping others. 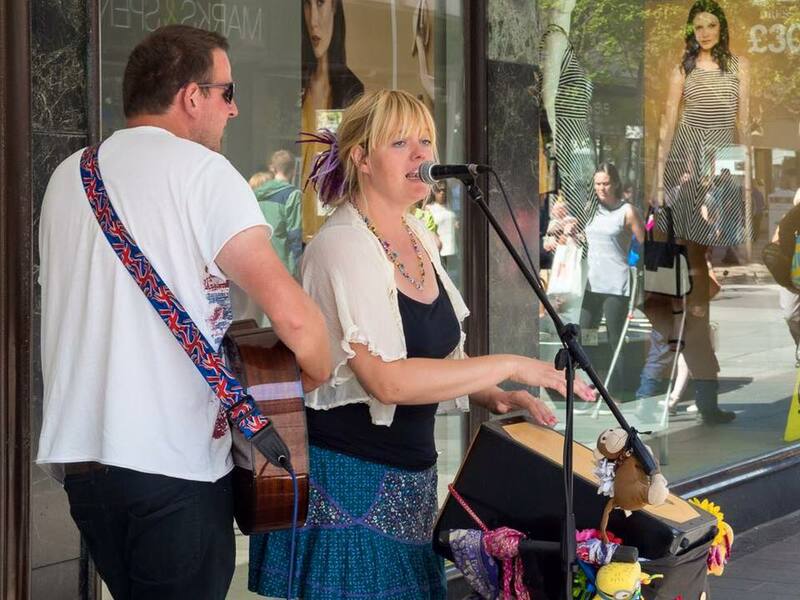 “Every weekend across the UK we have an explosion of music and culture. It’s something to be proud of – Gigs, open mics, poetry, stand up. It makes our communities vibrant and strong. But we also know that in our communities people are being hit hard by homelessness and poverty. There is a human cost to the politics of au sterity. Helly and Andy will be taking part in We Shall Overcome Liverpool on 2nd October so why not take this chance to go along and see them?